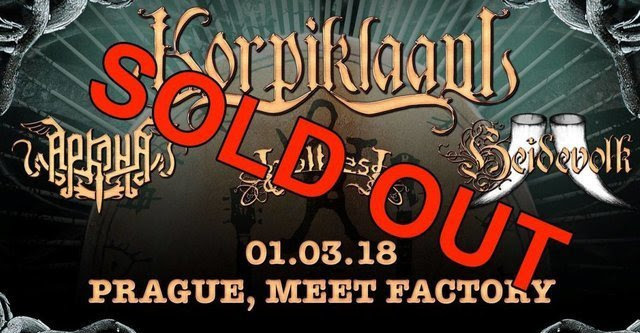 Finnish Folk Metal Superstars KORPIKLAANI are currently in the studio, working on the follow-up of 2015's Noita. The band will also be embarking on an extensive European headline run with support from Russia's ARKONA, Dutch men HEIDEVOLK as well as Norwegian Trve Balkan Metallers TROLLFEST. The billing will be completed with EVERTALE, BLACK MESSIAH and THE PRIVATEER on select dates.